Education, Gardening and Fun: Spreading the Joy of Butterflies to Everyone! In Mexico, Monarch butterflies are beginning to arrive this week in their over-wintering sites as people prepare for Day of the Dead celebrations. Overwintering Monarch butterflies (Danaus plexippus) swirl and pivot in a sanctuary in Mexico’s Michoacán state. • Photo Copyright by Santuario Mariposa Monarca el Rosario. Used with permission. Celebrations for Día De Los Muertos, or Day of the Dead, officially start November 1 and end November 2, the actual Day of the Dead. However, this popular Mexican holiday can start as early as Halloween. The festival honors the lives of deceased ancestors and coincides with All Saints Day and All Souls Day–Catholic holidays dedicated to honoring the saints of the church and those who have died, but who have not yet gone to heaven, respectively. 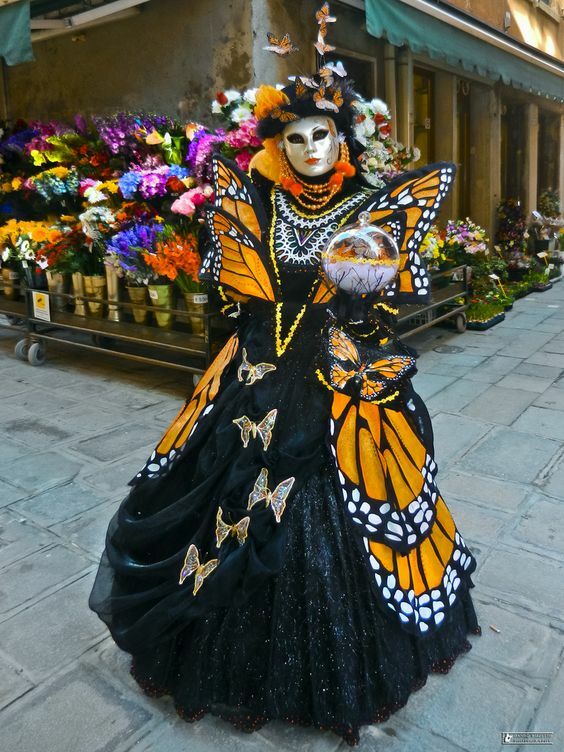 Dressed up to celebrate Dia de los Muertos and the return of the Monarch butterflies. • Photo Copyright By Mari Osa of Madame’s Journey Home. Used with permission. Day of the Dead is not about being scared of the supernatural, but rather about remembering the spirits of their loved ones. Catrina figures, costumed female with a skeleton face, have become associated with the Day of the Dead, and are a prominent part of modern Day-of-the-Dead observances. • Photo Copyright by Danilo Rizzetto. Used with permission. 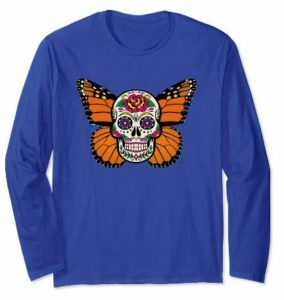 Rather than dressing in all black and mourning the passing of loved ones, Día De Los Muertos becomes a colorful and vibrant national remembrance of the lives of deceased relatives and friends. While most people who recognize the international holiday decorate their homes and grave sites of their ancestors with altars, relics, candles, foods, and drinks favored by the deceased; many cities will join in on the festivities by hosting parades, community-wide ceremonies and street parties. 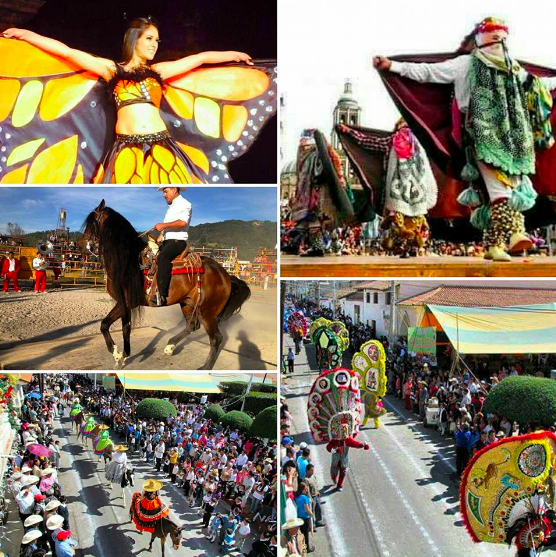 Celebrations with parades, music and dance at El Rosario Monarch Butterfly Preserve in Michoacán State in Mexico welcome the return of Monarch butterflies. • Photo Copyright by Santuario Mariposa Monarca el Rosario. Used with permission. 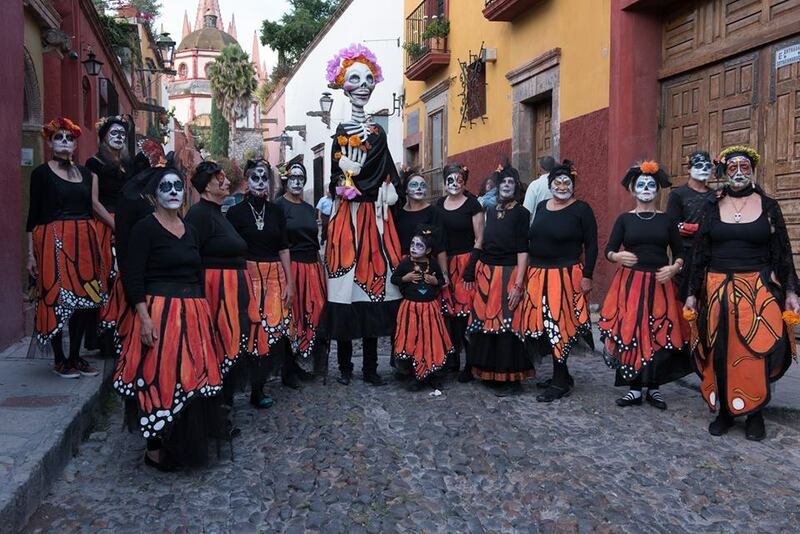 In Michoacán, Mexico, Día de los Muertos, takes on an even more interesting aspect. 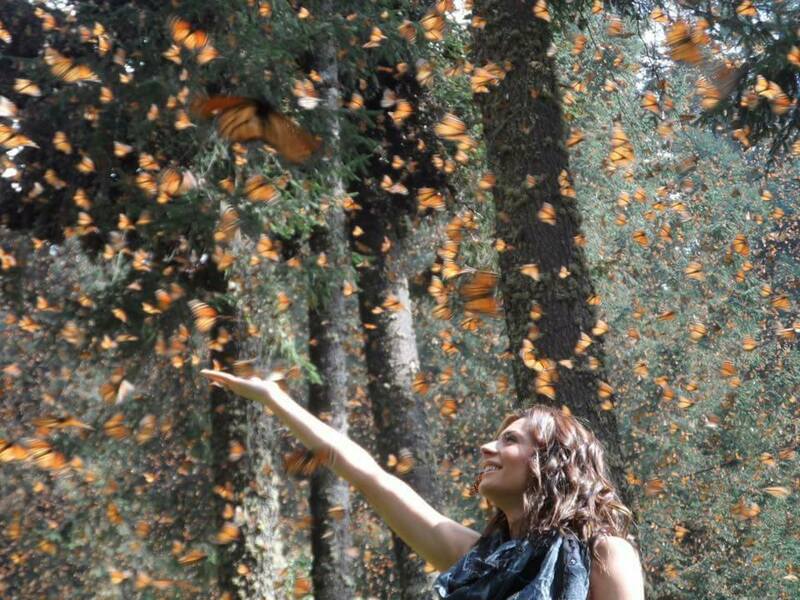 According to traditional belief among Michoacán’s Mazahuas indigenous community, Monarch butterflies are souls of ancestors who return to Earth for their annual visit. The video below, “Muerte Es Vida” (Death is Life), follows a family from Michoacán’s Mazahuas indigenous community as they celebrate Day of the Dead. Native peoples explain how the Monarch butterflies always return a few days before the celebrations begin. Children were taught to set out water to welcome the butterflies because they were tired and thirsty from their travels. Whether you live in Mexico or elsewhere, you can join in the Day of the Dead celebration by sharing these stories with your children and grandchildren and by downloading the information sheet below. 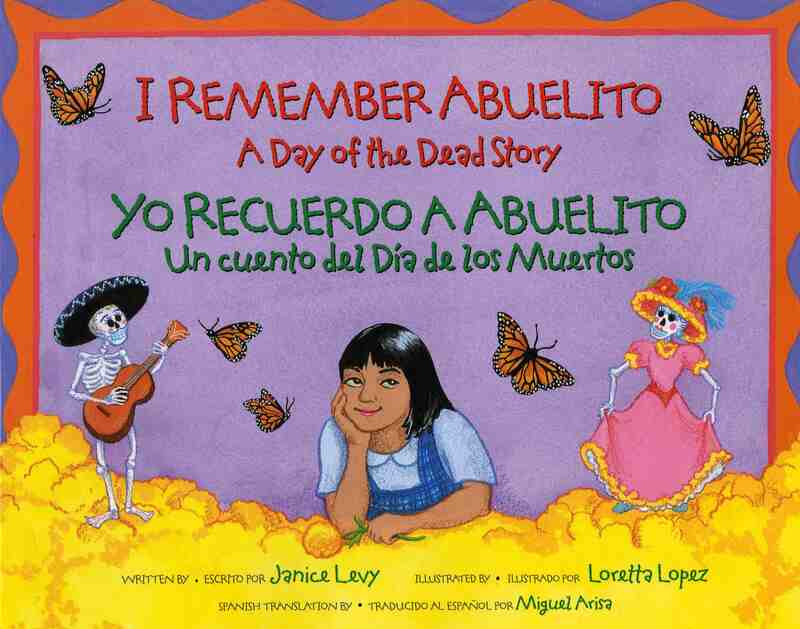 I Remember Abuelito: A Day of the Dead Story / Yo Recuerdo a Abuelito: un Cuento del Día de los Muertos written by Janice Levy, illustrated by Loretta Lopez, and translated by Miguel Arisa. • Click Here or on the book cover to see more and to order. 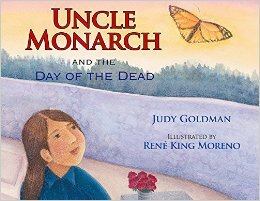 Uncle Monarch and the Day of the Dead written by Judy Goldman and illustrated by René King Moreno. • Click Here to see more details and to order. 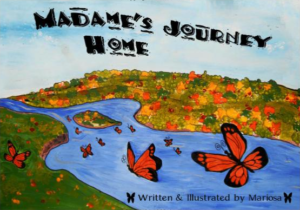 Madame’s Journey Home by Mariosa. • Click Here to see more details and to order. 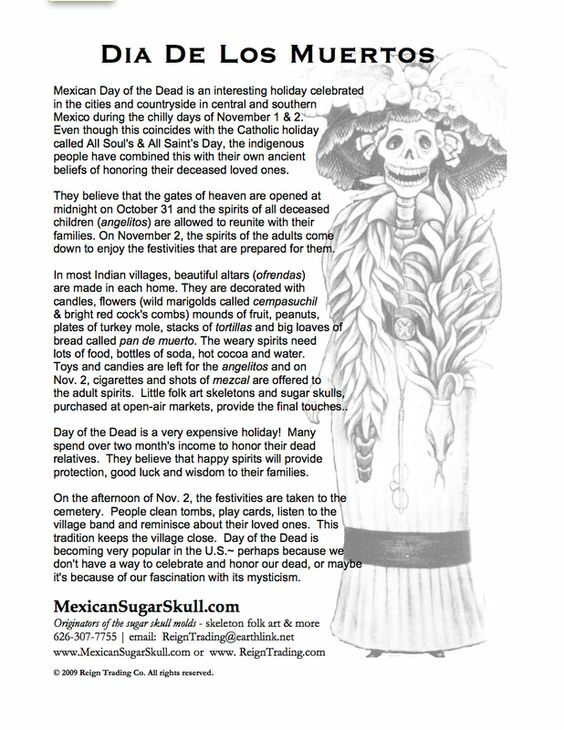 Click Here to download this Día de los Muertos information sheet to learn more. 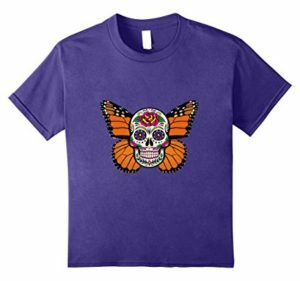 Celebrate Day of the Dead with this colorful t-shirt. Copyright © 2009-2018 by Suzanne Tilton for all content, except as noted. All Rights Reserved Worldwide. You may share Butterfly Lady’s articles and photos, for non-commercial purposes, if you attribute Suzanne Tilton as the author/photographer and create an active link back to Butterfly-Lady.com. All other uses, including utilization of materials created by others, are prohibited without written permission from the respective copyright holder. Butterfly Lady showcases products with affiliate links. When you purchase, we receive a small commission to fund butterfly education. Thank you for your support!